It's raining again. When it feels like to be a rainy, then you better be prepared, darling. 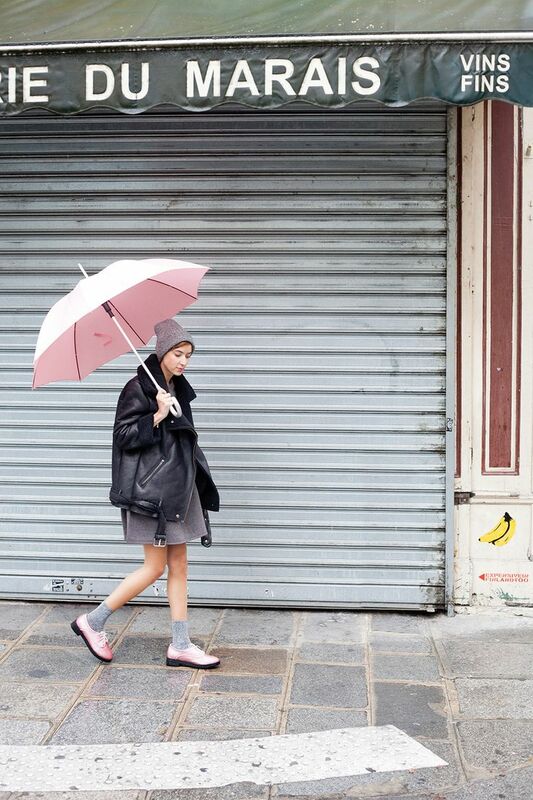 Today we are going to observe women's best style tips for rainy days. For some ladies rain is just a fun thing, but for others it's like a disaster, because of the risk being wet. Indeed, rain can really put a damper on a lot of things including your outfit. Well, thanks to many fashion bloggers and fashionistas we have chance to see awesome tips and ideas how to look stylish on a rainy day. You can always brighten up your look with accessories. You can add colorful things to look fresh and sweet. 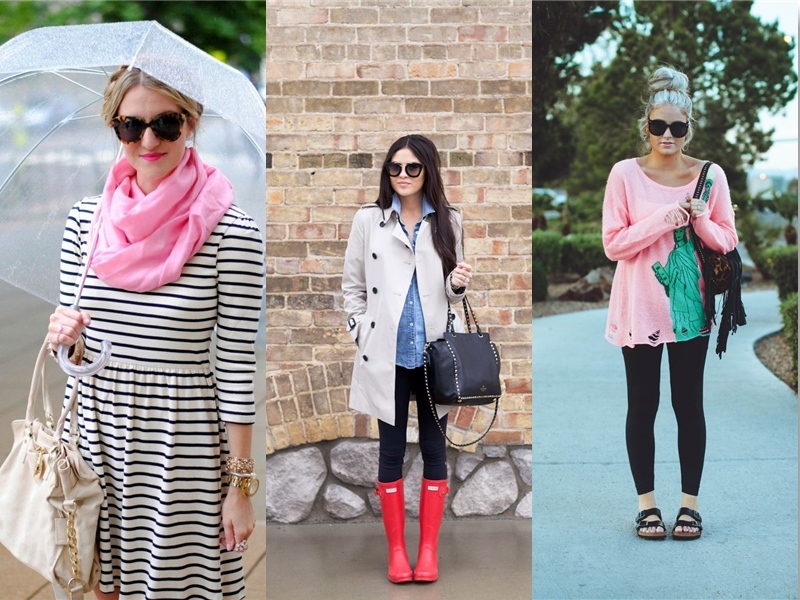 For instance, you can add a cool umbrella (pink or see-through), ladylike scarf and chunky accessories, so that your rainy day outfit looks fun and sweet. If bright looks is not your thing, then I recommend to try on something dark colored. The black color clothes are meant for really dirty weather. Personally I love totally black looks, like the one what consists of a black leather jacket, LBD, tights and ankle boots. The best thing is to invest your money in a stylish outerwear. I suggest you to buy a comfy, waterproof trench coat or a cool raincoat, what will get you from home to the workplace with no worries of being wet. You can always change your mind and go for something casual, like PVC or parka. 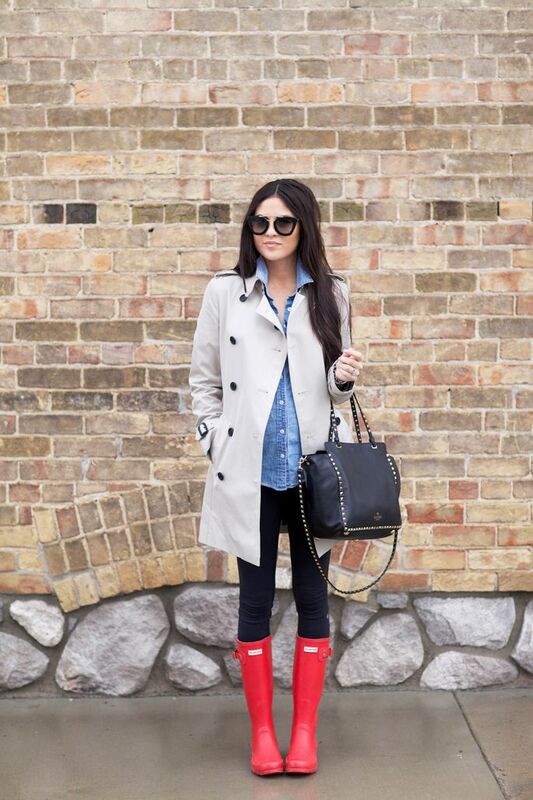 The umbrella, rain boots and hats are among MUST-HAVES. P.S. I advice you to choose colorful rainboots to wear with your dark color look.